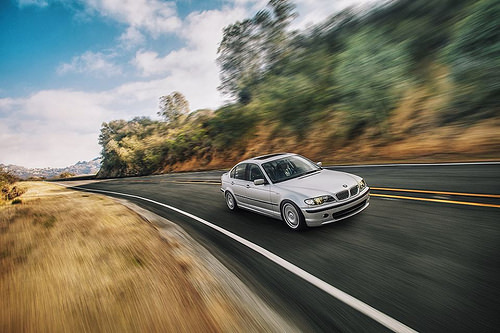 The BMW E46 3-Series produced from 2000 to 2006 is one of the more reliable BMWs you can buy. You may have read my widely distributed and viewed post on the BMW E46 Cooling System detailing the common failures and the catastrophic results a single failure can result in, or you may have read my other posts on E46Fanatics.com which recommend full system replacements rather than picking, choosing, and replacing each individual part as they fail. I highly recommend you check out those threads including the links in my signature. However I realize not everyone can afford to replace $3,000 worth of parts to restore their BMW E46 3-Series back to reliable and well handling condition. So I've created a top 10 list of must-replace items for your BMW E46 3-Series. These parts are the 10 failures of the E46 platform and are certain to leave you stranded, frustrated, or leave your car with dangerous sloppy handling. While I still recommend full replacement of the E46 cooling system, the expansion tank is an absolute must. It is not optional and it should 100% absolutely be replaced upon your purchase of an E46. Do NOT skimp on this. The common failure is for the tank to develop a hairline crack down the side of the tank resulting in a low coolant light and shortly (seconds) after that, an engine overheat which will destroy your soft aluminum engine in mere seconds. Many have been in big trouble because they've neglected to replace this $60 part. 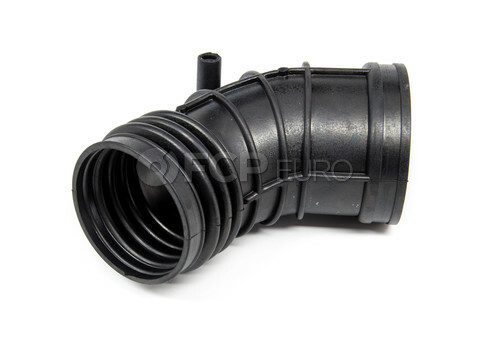 You can also buy the E46 Expansion Tank here on Amazon. The links are to OEM expansion tanks. Do not buy this part aftermarket. This part fails on ALL BMW E46s. And E36s for that matter. 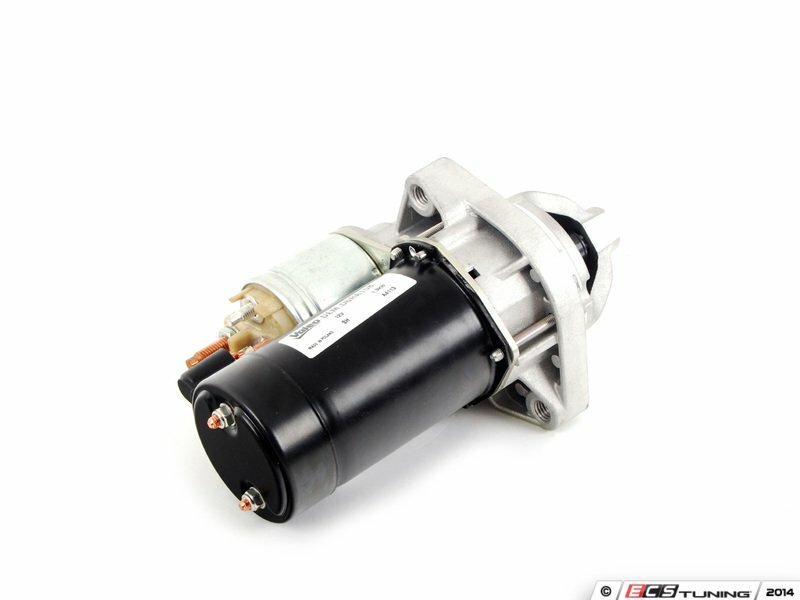 The BMW E46 Final Stage Resistor is responsible for your A/C Blower Fan speed. The failure is erratic fan speed behavior or the fan completely failing to turn on. This is torture on a hot summer day. This failed part has also been known to cause car fires. Very dangerous. Experiencing long cranks? Hard starts? Does your engine just crank and crank but doesn't turn over? If you haven't experienced any of these symptoms, you will. This failure will happen. 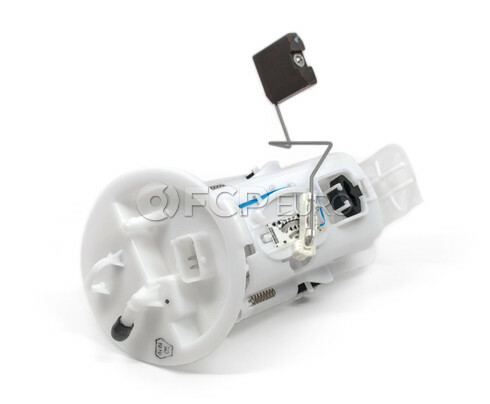 Replace the fuel pump on your BMW E46 every 60k miles or 5 years for maximum protection from being stranded. Some go longer, others aren't so fortunate. Luckily it's extremely easy and cheap to replace. Pull up rear seat and voila. Right there. Don't forget the seal . Buy the pump here on Amazon. Very common failure. The boots that connect your air filter box to your throttle body dry out and crack over the years. Will cause vacuum leaks. The symptom is poor fuel mileage and/or stumbling, idling problems and stalling. Replace your upper and lower intake boots. Cheap stuff. Don't skimp. Make sure you align the tab on the lower boot with the space on the throttle body. Very easy install. Double check your model's part #s before ordering. I read that the M56 powered BMW 3-Series uses the 330 boots. Check to make sure. 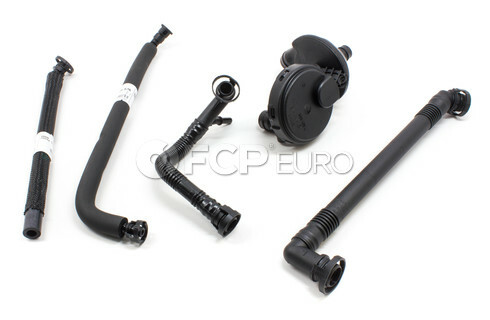 The BMW E46 Crankcase Ventiliation Kit will certainly fall causing a vacuum leak. Poor idling, stumbling, poor fuel mileage. Rubber and plastic cracks and fails over time. Replace it once and never touch it again. I recommend Genuine BMW but the above linked kit is available at a fraction of the price. Bonus: Don't forget to replace the vacuum tubing that connects to the F connector to semi-hard line that goes to the fuel filter. 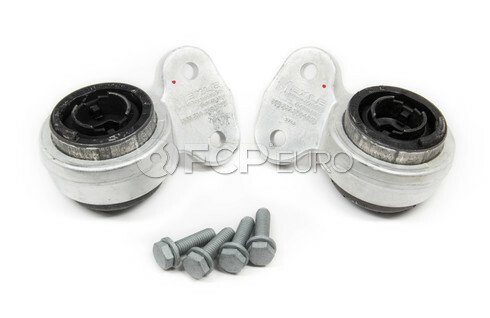 The rubber in your front control arm bushings rot over time and will cause sloppy and loose steering/handling. If totally failed, your suspension will clunk as you brake and your entire front wheel will move forward 1 to 2 inches -- very dangerous at highway speeds. If you can't brake, you may crash. Easy install, two bolts hold it on. Get a 3-jaw puller and pull the old one off. Spray windex or soapy water on the new bushing and tap it on with a rubber mallet. Torque it down and enjoy your new handling. Buy them here on Amazon . Same as above. These rot out and cause sloppy rear handling. Replace every 50,000 miles or 35,000 miles if you are really picky. These are responsible for rear wheel toe control. Give your car gas and if the rear end wags under acceleration, your bushings are toast. Very dangerous if they fail. Buy here at Amazon . Bonus: I recommend M3 rear trailing arm bushings as an upgrade for more solid handling. Direct fit. Plug and play. This kit comes with the famous shims for even greater control. If you want to do these yourself, I recommend an RTAB tool . You can also search Google for an "MIS RTAB tool." Battery light flickering? Constant dead batteries? Even if you don't experience those symptoms, you will. It's usually the voltage regulator that fails, but many just replace the alternator which will include a new voltage regulator (it's bolted to it.) Many figure "why not?" You can also just replace the voltage regulator here for $40 -- this is surely to leave you stranded one day as the brushes on the regulator wear down! It bolts on the back of the alternator using a screw driver. Make sure you look at yours closely and see what plug it uses. The one I linked is the square plug. Usually the one installed on most E46s. MAKE SURE YOU GO LOOK AT YOUR CAR TO SEE WHAT CONNECTOR YOU HAVE. SQUARE OR ROUND? Also install the same or higher amperage as what your car came with. These pulleys carry your belt system and will dry out and rot over time. Do your pulleys sound like skateboard wheels when spun? Does your engine make a squeaky noise as it runs? Your pulleys are ready to fail. When they do, it will throw the belts off and take your engine down with it. Instant overheat. Instant engine rebuild. Don't risk it. Don't forget to get new belts. You may as well. Very simple. Replace with a battery from your local parts store. Personally I went with Autozone brand -- paid $200 for my battery. You may be able to find it for $150. Appreciate the support using my links. I earn a small portion when you use them.